Sri G. Hanumantha Rao, HOD of Mathematics take the charge of NCC as Care Taker Our N.C.C. cadets participated in plantation programme on NCC day and also participated in Blood Donation camp on NCC day In NCC 50 cadets are joined among them 3 candidates are C certificate holders one cadet is 3 rd year cadet and 46 cadets are newly enrolled. 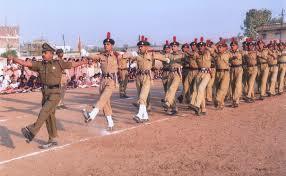 NCC conducted events like Independence Day parade, Blood Donation camp,Republic Day parade.Senior Under Officer Mr. U.V. Naveen Kumar selected for ATC-VI Moulaankar Shooting camp from 24-05-2011 to 02-06-2011 at Vijayawada and at B.T.G from 11-07-2011 to 20-07-2011 at Secunderabad. Mr. K. Sagar, M. Pushkar Kumar, & Mr. M.Narendra ware selected NCC Day campat Secunderabad. 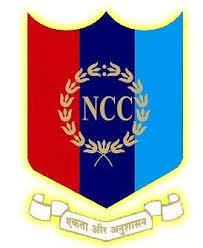 NCC ACTIVITIES ALONG WITH NORMAL NCC ACTIVITIES our N.C.C. cadets participated in plantation programme from Addankivaripalem to Dhulipudi for 3 Kms distance. In any hospital in the District during the operation time. if anybody was in need ofrare blood group our NCC companyprovides the blood by sending the concerned blood group candidate to donate blood. 5.One of our Cadet Mr. Ch. Naga Raju selected for Republic day parade at New Delhi. 3.Participated in the Rally against Mumbai Terrorist incidents. 4.One of our cadet Mr. A. Ravindra Babu selected and completed parachute training at Agra. 5.One of our Cadet Mr. Ch. Naga Raju selected for Republic day parade atNew Delhi. 6.Along with normal NCC activities on NCC wing has arranged the cadetsblood grouping to meet the needs of rare group persons when they are in need.